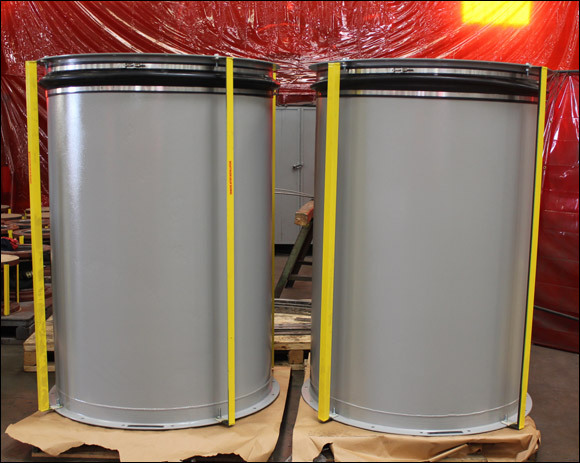 Neoprene fabric expansion joints were custom designed for a ventilation fan intake duct in a power plant. They are 42″ in diameter and are 65″ in overall length. They were designed for 1/4″ axial movement, 1/8″ lateral deflection and a 100″ water column at 200°F. The expansion joints are fabricated with a neoprene reinforced belt with stainless steel clamps, carbon steel spool pipe and angle flange ends. Each joint was dye penetrant examined prior to shipping. 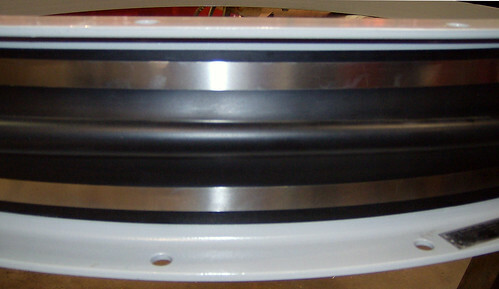 42″ Diameter Neoprene Fabric Expansion Joint for a Generator Cooling Fan in a Power Plant. 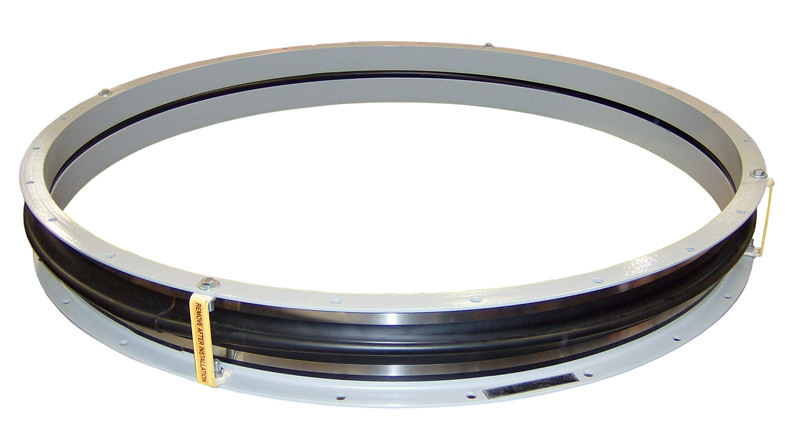 This neoprene fabric expansion joint is 42″ I.D. by 7-3/4″ face-to-face and is designed for a generator cooling fan in a power plant. The angle frame ends are fabricated from carbon steel, and the neoprene fabric belt is fastened to the angle flanges by two stainless steel clamps. The expansion joint absorbs vibration between the air supply duct and the cooling fan. A dye penetrant exam was performed on the welds of the angle iron flanges prior to shipping to the customer ahead of schedule.